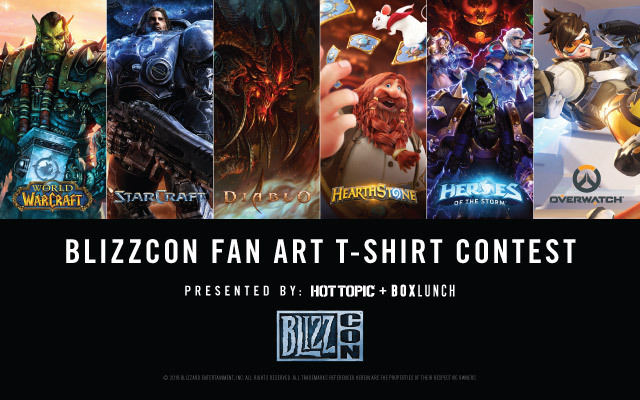 To enter, submit an original design inspired by one of your Blizzard Entertainment faves: Overwatch®, World of Warcraft®, Diablo®, StarCraft®, Hearthstone®, and Heroes of the Storm®. Grand prize winner and finalists to be announced at BlizzCon 2018! Ed Labay is a night elf druid and the VP, GMM of Hot Topic. He joined the Hot Topic team in 2007 as a Buyer and was instrumental in building up Hot Topic’s pop culture repertoire. Though Ed is a Junkrat stan, he has an undeniable knack for playing D.Va (and his team yells at him a lot less when he does so). 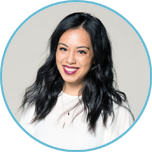 Tracy is the Senior Buyer of the Apparel and Home categories at BoxLunch. 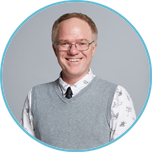 As a buyer, Tracy enjoys creating product and negotiating deals. As a Mercy main, Tracy is always trying to help people. Unless it's a Genji. Asking for healing. With nearly full health. Just come back to the payload! Blizzard Entertainment® is a premier developer and publisher of entertainment software. They have assembled an incredible group of artists and developers from across the company to review the submissions. This panel of experts can't wait to see all of the unique designs their community can come up with. Create an original piece of art inspired by a Blizzard Entertainment title(s). Explore the full story of each title - incorporate characters and environments. Submissions can only include one Blizzard property per design. Heroes of the Storm designs may include other franchises, but only as seen in Heroes of the Storm. You may only use logos within your design if they are associated with the characters from Blizzard titles. Do not use any copyrighted, 3rd party or inappropriate content, language or imagery. Winning submissions are intended to become officially licensed product. Obscenity, 3rd party infringement, or copyrighted content, it will NOT be considered. Do not submit images or pictures (stills) from Blizzard titles. You must create your own original art. 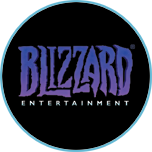 Do not incorporate any other brands or product with Blizzard Entertainment properties; they cannot be endorsing another brand or featured with other brands. Blizzard Design Contest begins July 25, 2018 and ends August 15, 2018. Must be age of majority or older to enter who, at the time of entry, are legal residents of and are physically located in the United States, the District of Columbia or Puerto Rico. One (1) grand prize winner will win $2,000 and no fewer than four (4) finalists will each win $300. Ten entries per person during the Contest Period. Total ARV of all prizes is $2,900. Void where prohibited. See Official Rules for additional eligibility restrictions and complete details. Sponsored by Hot Topic, Inc. and BoxLunch 18305 E. San Jose Ave, City of Industry, CA, 91748 United States ("Sponsor") and administered by Fan Factory, ("Administrator"). 1. CONTEST PERIOD: Submissions will be accepted starting July 25, 2018 at 12:00:00 am Pacific Time ("PT") and ending August 15, 2018 at 11:59:59 pm PT (the "Contest Submission Period"). The judging will take place beginning on: August 31, 2018 through September 7, 2018. 3. HOW TO ENTER: During the Contest Submission Period, enter online by downloading the submission kit and digitally uploading up to ten (10) designs at http://blizzardfanartcontest.fanfactoryart.com. Please click if you would like to download a submission kit. In order to submit, contestants must visit the submissions page during the Contest Submission Period and follow the on-screen instructions to upload their original artwork and complete an official entry form, including agreeing to the terms of the user generated content submission agreement ("Submission Agreement") and click the "Submit Your Design" button to complete the submission form. The uploaded original artwork together with the Submission Agreement and official entry form shall be collectively referred to as the "Entry." Only ten (10) entries per person will be accepted. All online entries must be received no later than 11:59:59 PM PT on August 15, 2018. Attempts made by the same individual to enter by using multiple e-mail addresses/social media accounts or otherwise will be disqualified. Mass entries, or entries generated by a script, macro or use of automated devices will be disqualified. Winning designs may be used on product and featured in Hot Topic/BoxLunch stores and websites. From August 31, 2018 to September 7, 2018, a panel of qualified judges to include representatives of the Sponsor will judge all of the eligible Entries received during the Contest Submission Period and will select up to one (1) winner and three (3) runners up based on the judging criteria described below. Judging Criteria: (each criterion is followed by its weight in parentheses) submissions digitally uploaded to http://blizzardfanartcontest.fanfactoryart.com must depict the character(s) from the Licensor franchises Overwatch®, World of Warcraft®, Diablo®, StarCraft®, Hearthstone®, and Heroes of the Storm®. Submission will be judged based on (a) Creativity (25%), (b) Originality (25%) and (c) Fits the theme (50%). In the event of a tie, an additional, "tie-breaking" Contest Judge will determine the winning Entry based on the criteria listed herein. The grand prize winner and finalists will be eligible to win the Prizes described below subject to verification of eligibility and compliance with these Official Rules. The Contest Judges' decisions shall be final and binding. 6. PRIZE: One (1) Grand Prize and three (3) runners up prizes are available.. P. Prize will consist of: One (1) grand prize winner will receive $2,000; and three (3) runners up at $300 each. TOTAL APPROXIMATE RETAIL VALUE OF ALL PRIZES: $2,900. Winners are not entitled to exchange or transfer prizes or to obtain cash or other substitutes, but Sponsor in its sole discretion may substitute prizes of equal or greater value. 7. WINNER NOTIFICATION: Winners will be notified via email beginning on or about November 5, 2018 with instructions on how to be confirmed as a winner and claim their prize. Potential grand prize winner will be required to execute and return an affidavit of eligibility, a liability release, a certificate of authorship documentation assigning all rights, copyright, title and interest in the Entry to Licensor (the "COA"), a W9 form, and, where imposing such condition is legal, publicity release, within the time period specified by Sponsor. Failure to complete and return any of the aforementioned documentation within the allotted time period specified by Sponsor shall result in such Potential Grand Prize Winner's disqualification from the Contest. If a Potential Winner is found to be ineligible or not in compliance with these Official Rules, declines to accept a prize, or Sponsor is unable to contact a Potential Winner within three (3) business days, or in the event that a prize notification or prize is returned undeliverable, the prize will be forfeited and, at the Sponsor's sole discretion, prize may be awarded to an alternate Potential Winner. Potential Winners may be required to furnish proof of identification. If the Potential Grand Prize Winner's entry is accepted for use by Sponsor and Licensor, such Potential Grand Prize Winner hereby irrevocably, in perpetuity assigns any and all rights to the entry to Licensor including all copyrights. At the time Potential Grand Prize Winner is notified that their entry has been selected as the Contest's winning entry, the Potential Grand Prize Winner agrees to execute such documents as requested of them by (including, without limitation, the COA) to effect/confirm the rights assignment to Licensor. 16. For any legally required notice of the Prize Winner, send a self-addressed postage stamped envelope to: Blizzard Fan Art Contest – Winner List Request", 18305 San Jose Ave, City of Industry, CA 91748, to be received by December 31, 2018. Winner's notice will be sent after all prizes have been awarded.